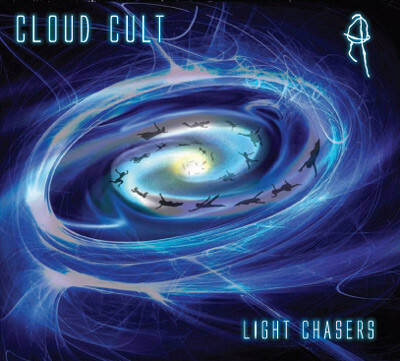 Light Chasers is an album made up entirely of powerfully meaningful songs. Cloud Cult’s messages aren’t anything innovative or something I haven’t heard before, yet they deliver it with such sincerity, simplicity and ingenuity that it all moves me to the core. Take this understated anthem for leaving a mundane, ordinary life to go join the wolves in the wilderness. Such a common metaphor, right? But yet, the song just capture this bittersweet sentiment of being driven by an undeniable urge and the conflict, pain and sadness such a move creates. Yes, we’re running toward our freedom, yes, we’re running to find our joy. But in the process we’re leaving, destroying so much, and that often includes people we deeply care about. We don’t want to hurt them or disappoint them, that breaks our hearts, too… but in the solitary confinement disguised as a digestible cog for the society, we just can’t make peace. We’re running with the wolves. We’re screaming at the stars. We left all we own in a hole in our backyard. We were running for a reason, left our cubicles in little flaming piles. We were running to find meaning – to feel something different for just a little while. I’m not coming home, I’m staying with the wolves. You can burn all my mail and disconnect the phone. Tell Mom I’m sorry- sorry for leaving, but I’m staying where I’m at. We’re running to find meaning… we’re gone, and we’re never coming back. Yep, so the line that gets to me is the second to the last — sorry. Sorry Mom, I know what I’m doing is upsetting, confusing and disappointing. I wish if there was a way to make you understand. But we’re going, and we’re never coming back. Sorry.